It’s been sooo crazy cold and snowing here in NJ!! I’m so happy that at least my nails get to be springy thanx to the new collections coming out right now!! 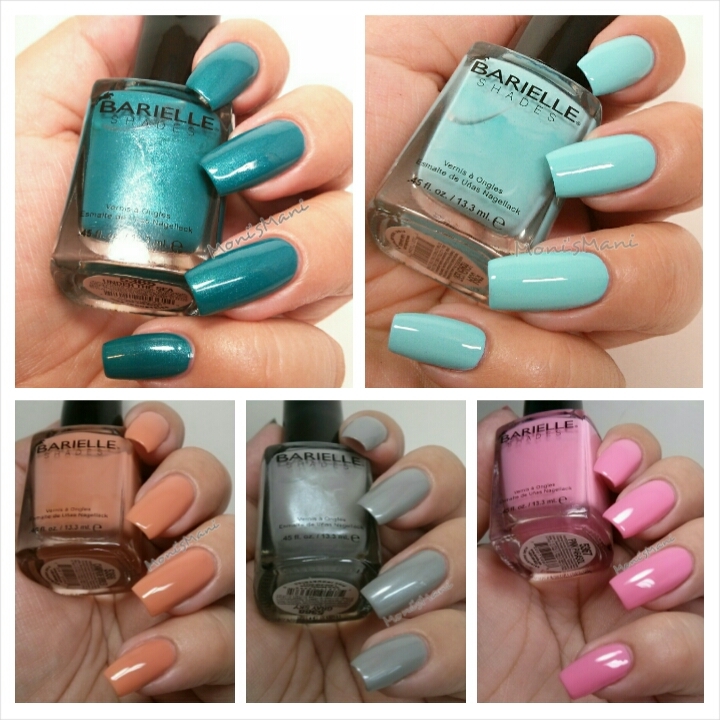 Today I’ll talk to you about Barielle’s Gentle Breeze collection for Spring 2015, I’m really excited to show you these pretties!! The Gentle Breeze collection is made of five shades, let me show them to you one by one! 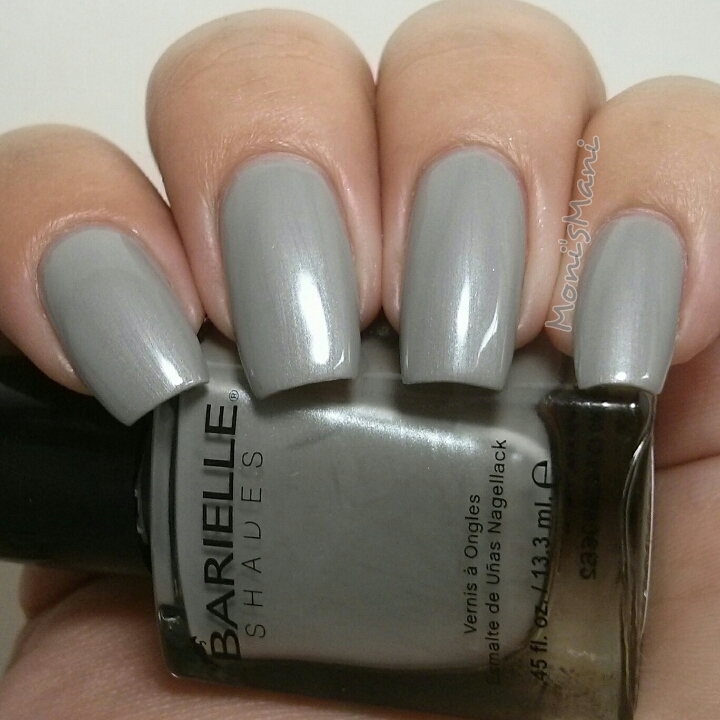 *Gray Sky– is a beautiful silver with a very gentle purple hue. I think this is such a pretty and elegant shade, formula was very good. Two coats + tc in the pics. *Champagne Bubbles – is a pretty tangerine creme. I don’t know what to tell you, the formula was good and I love the color but I just don’t think this color is for me. Maybe too close to my skin tone? I think this would look amazing on lighter skin bc the color is very pretty. Two coats + tc in the pics. Let me know what you think. *Pink Parasol – Is a creamy almost like butter strawberry creme. So pretty!! I stamped some hearts over this base using the Pueen Love Elements set and fairy dusted my accent fingers for a cute and easy Valentine’s Day Mani. *Under The Sea – is a gorgeous and rich “sea scuba blue” as the maker describes it, it has beautiful shimmer to it and it dries almost satin. Definitely one of the jewels of this collection and a must have for any polish lover. 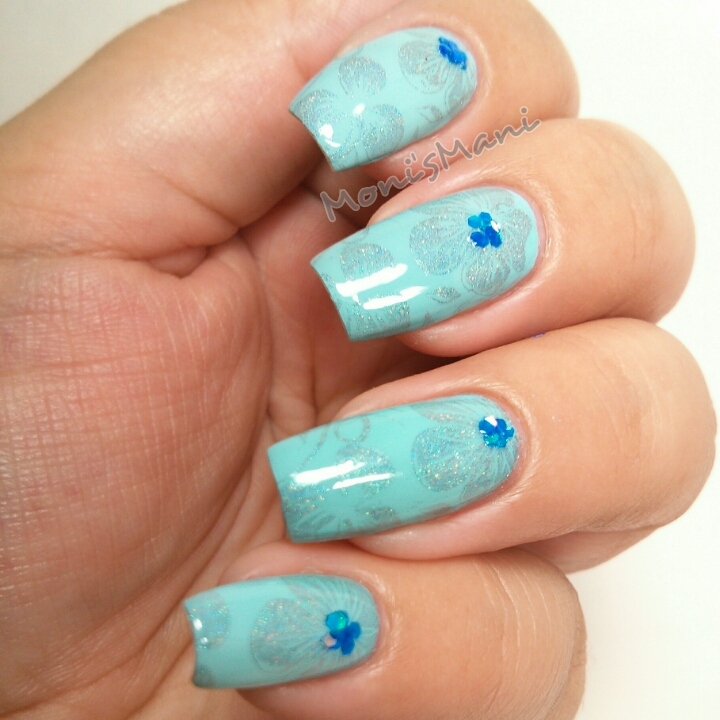 *Heaven Sent – I declare my self in love with this polish, a one coat wonder this beautiful aquamarine cream is amazing. The formula is to die for and the color is just beautiful! How beautiful is that?!!! I stamped over it (on its fourth day, notice the lack of chipping!!) Using the Pueen Buffet Set and Parrot Polish’ Arcobaleno in the hopes that this soft and summery Mani would take my mind away from all this snow, and it did! I hope you like it! Barielle has once again impressed me with their formulas and I’m so happy I was able to review this collection for you! If nothing else you NEED both Under the Sea and Heaven Sent. You will not regret it!! 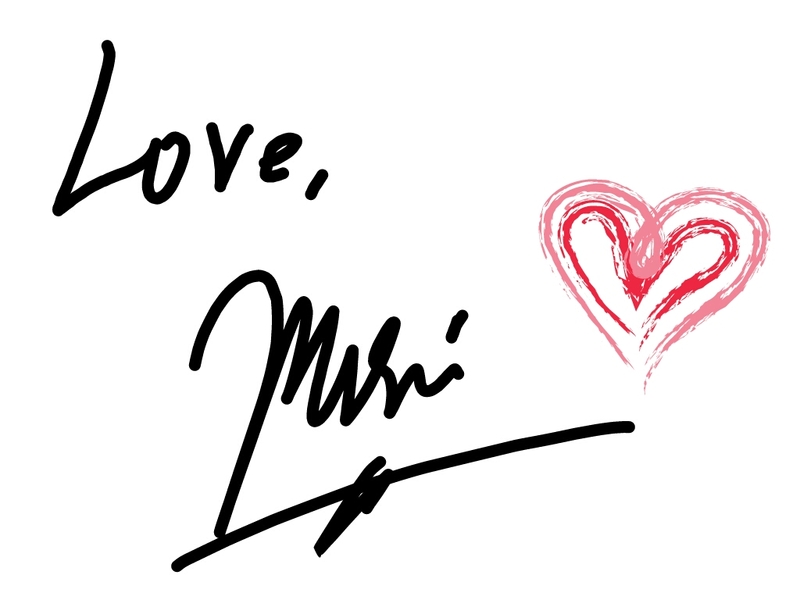 Thank you so much for reading me!! I really appreciate the support! And pls let me know which shade is your fav! The Gentle Breeze Collection is right now at an unbeatable price of $25 for the collection!!! Get it here. Or $8 if purchased individually. See swatches of their Jetsetter collection here. What a lovely collection! I love Barielle, such a great brand and their formulas are hard to beat!! Under the Sea and Gray Sky are my favorites!